Sign painting is an art form by craftsman who have an extensive understanding on the quality of hand painting on various indoor & outdoor applications. 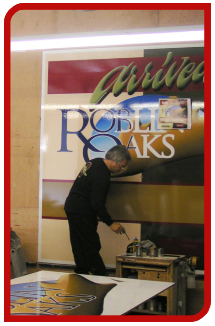 At Signmeister we believe an attractive, well-painted sign is an asset to ANY business. 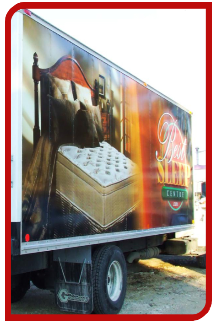 We specialize in "vehicle graphics marketing.” When you’re trying to maximize impact, you have the "3 second rule" to capture attention; you need a well crafted graphic and message to impact your customer’s at an emotional level. You can count on our help every step of the way as we work within your budget to create either a custom designed, full wrap, partial wrap, decals or vinyl lettering to help you get the desired result. All aspects from design, print & installation are done within our facilities. 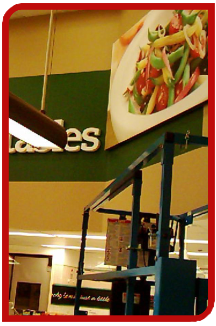 Ask us about our speedy service of hand painting on various indoor & outdoor applications. Custom fabrication is our specialty. Whether your project is for custom interior architectural signs or for a one-off LED lighted exterior sign, we inject the finished product with passion, creativity and expertise. At Signmeister we provide interior & exterior/outdoor signs & custom metal fabrication for businesses, schools, hospitals, institutions, and government facilities. With our fast growing volume of work, we have gained invaluable experience & knowledge. Apart from our expertise with traditional signs, our continuous deep involvement in the trade has given us a sound knowledge of these latest technologies: fibre optics, modern illumination & digital electronics. Our installation teams are well trained & accustomed to achieving the very best results for all of your sign repair needs. 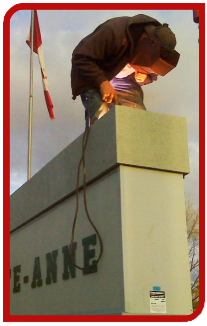 Our professional & experienced service coordinators, along with our cross-Canada network ensures your sign is serviced within 1-5 days. 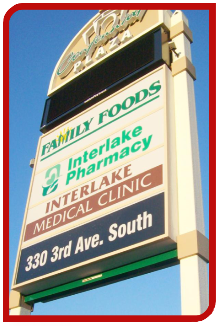 If your sign requires repair work, call Signmeister & we’ll work closely with you to make sure your sign is illuminated. Whether you’re in a need for a parsoul or complete interior signage and decor, we can work with you from the initial design stage, through the manufacture and installation / coordination processes to ensure you get highest impact with maximum efficiency. Our crews, permitting department, and design department work closely with one another to assure the best possible scenario for each location. Because of our quality, in-house manufacturing, we are able to minimize time on-site. From concept to completion we will work with you to ensure your project gets the time and attention it needs to provide the desired effect and keep your customers coming back.